I've spent some time investigating sudden car vs track collisions. 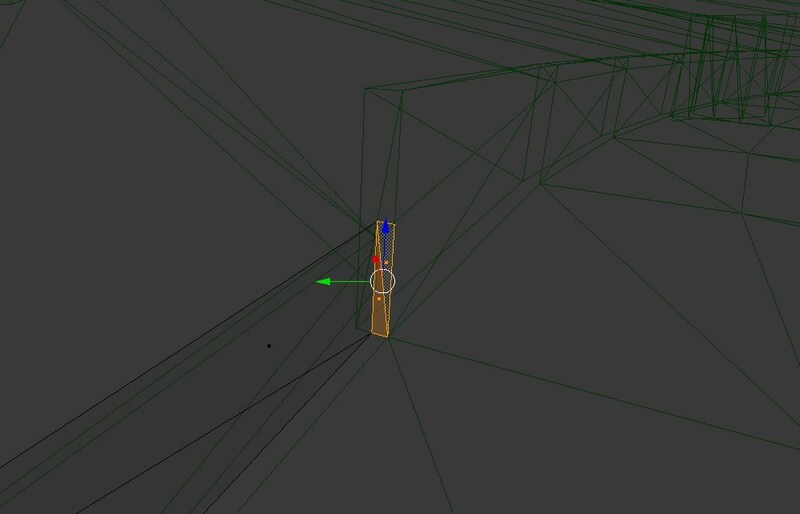 A part of them can be attributed to how bullet handles triangle mesh collisions. It allows to collide against triangle eges. Which is bad news for our tracks, can be fixed with edge filtering though. There is a minor issue with edge filtering for 2d collision objects like tree billboards as you can imagine. Just get the approach angle right and you might pass through one or be pushed to the side. But then trees, masts, poles should use capsule shapes maybe. Here we have road guard rails with caps. Even if there is no gap to the next wall. Bullet will hit this cap faces really hard, while you might be just sliding along the rails. This is something that can not be fixed, as the simulation is running at discrete timesteps. For dirt-3 the rail geometry is already pre-split. The cap belongs to a separate object, so this object just needs to have collisions disabled. Anyway, I'll test the edge filtering a bit more and push it to master, as it helps already. I've spent some time testing different tracks. Trees are not a problem being cross billboards (2 planes). Open fence or guardrail endings is what would have to be fixed, by adding crash cushions or tire barriers maybe. the problem in that picture is that one of the surfaces has the normal inverted that causes the problem. (02-18-2015, 05:52 AM)slickx Wrote: the problem in that picture is that one of the surfaces has the normal inverted that causes the problem. Bullet collision detection doesn't use normals, is two-sided. One could implement a special variant that takes normals into account, but it is not trivial.